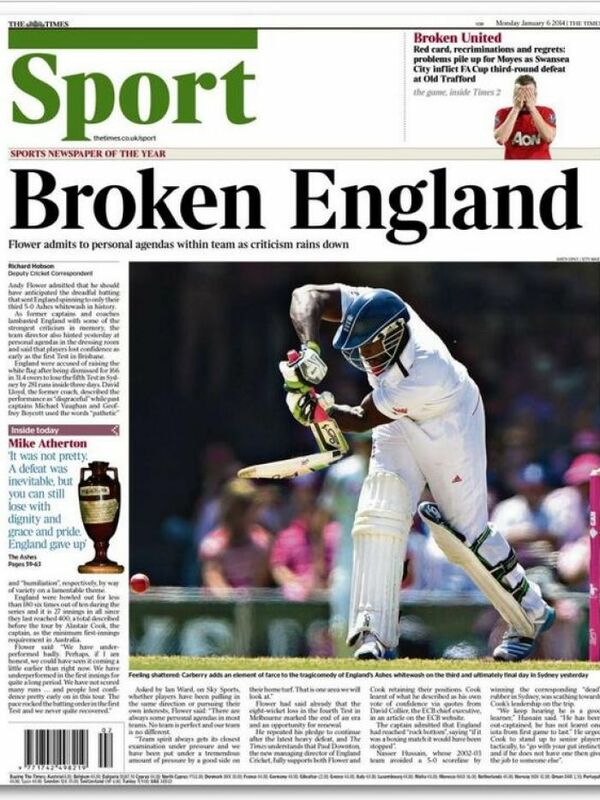 Well Australia have demolished English cricket this summer. Not just the English cricket team. They started with the same old and a couple of them went home and others (Broad) had a mid-series break. But there's a couple new names that might be showing some promise for the next generation. All-in-all England have been measured and found wanting. Re: Five - nil, five - nill. Australia has defeated Tony Abbott's homeland to regain the Ashes. Well done lads.